1 – First you’ll need to know the rough area the place will be in, usually you’ll have at least a county or failing that a country or region. Once you have narrowed it down or know exactly where it actually is on a map then you can start to check various sources to verify its name. 2 – Try referring to old maps, this will be the second step for finding a places original name. If you know the area then you can scan old maps from the time your original source was written. 3 – The further back in time you go the more vague and blurred the spellings of places can get. So some times a place will have multiple spellings but no official spelling. When this is the case you might need to look for a local historian. There’s often at least one of these in each town and they shouldn’t be too hard to track down these days. 4 – Bare in mind the languages spoken in the location you’re trying to find. Some regions may have more than one spoken or written language possibly due to pre-existing borders that have changed between regions. One place may have two or more very different names which is why you might struggle finding it on a map. 5 – Some places may be known differently locally compared to nationally or internationally so if you’re having particular trouble finding a place on a map, it might not actually exist as that name and could be a localised nickname. 6 – Don’t get too stressed trying to get everything standardised. Its your tree and can be personal preference. Some people like to standardise all of thier towns or villages whereas others like to name it as it was at the time that person was living and what they would have known it as. Both methods work but if you standardise the place names make sure the boundaries have stayed the same over time and haven’t moved meaning your ancestor was actually living in the next town over. 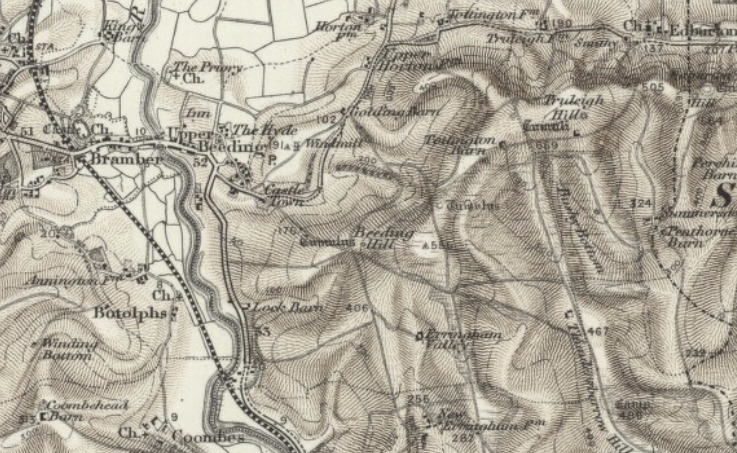 Often when looking for ancestors, you will come across a place name that you don't recognise and when you try to look it up, it doesn't exist anymore.